Save Time & Money With DvorakEliminate The Muda! Dvorak is not the latest robot cleaning device. It is simply a different keyboard layout that will enable you to type faster and with better quality than you can today. As the story goes, the QWERTY keyboard we all know and love was designed for the purpose of slowing down the typist. In the early days of typewriters some had the letters in alphabetical order. With some of the more common letters of the alphabet located near each other a decent typist had the tendency to get the typewriter jammed up. By spreading out the keys if forces the typist to jump around the keyboard as they type reducing the chance of a mechanical failure. Originally patented by August Dvorak in 1936, the Dvorak keyboard layout was developed after countless hours of observation and analysis. 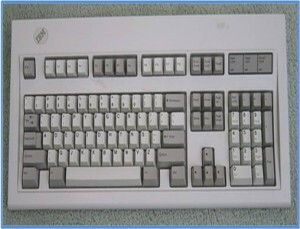 The design was implemented in part to address the obvious inefficiency of the QWERTY keyboard and reduce fatigue on the typist. It is really amazing when you look at the statistics. Allegedly with a QWERTY keyboard only about 32% of all typing is done with your fingers on the home keys. On a Dvorak keyboard the home keys represent about 70% of all the work. Furthermore with just the home keys on the Dvorak you can type 400 common words in the English language while with the QWERTY keyboard you can only type about 100! From personal experience I can tell you making the conversion can be difficult. Between blogging and work I have been reluctant to simply force the switch. I have learned the Dvorak keyboard but I believe I am far from proficient simply because I keep switching back when I feel pressured to produce. However, a friend of mine that introduced me to the idea quit QWERTY cold turkey and while a little problematic at first found the switch to be successful. I’m still trying Jason! Want to know how to change your keyboard to Dvorak.? Click Here for instructions. If you liked this post please sign up for my RSS feed or enter your email on the sidebar to receive updates directly in your inbox!